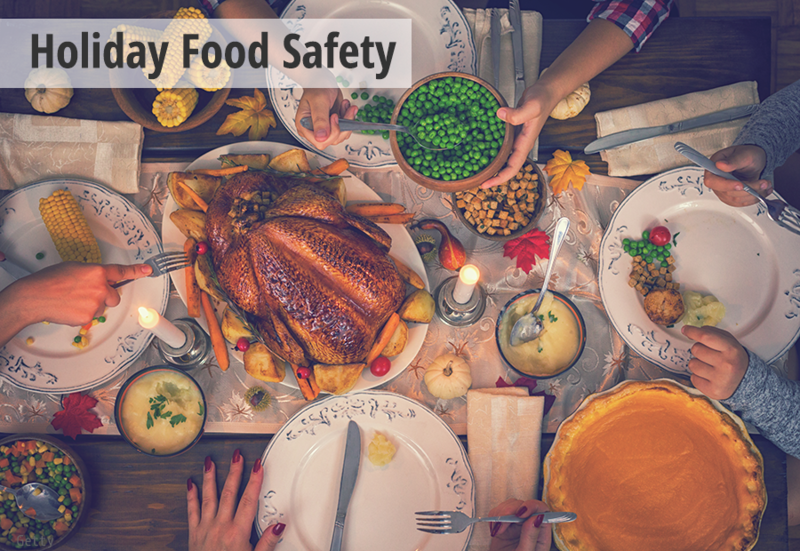 With the holiday season fast approaching, Florida Health encourages all Floridians to keep food safe by practicing basic food safety measures while preparing meals. A majority of the reported cases of foodborne illness are caused by bacteria or the toxins produced by bacteria. Bacteria can multiply extremely fast when food is kept at an unsafe temperature (above 41 and below 140 degrees Fahrenheit). Separate – Don’t cross contaminate - Keep raw meats, poultry, eggs and seafood and their juices away from ready to eat food. It is recommended that leftovers be heated to 165 degrees.